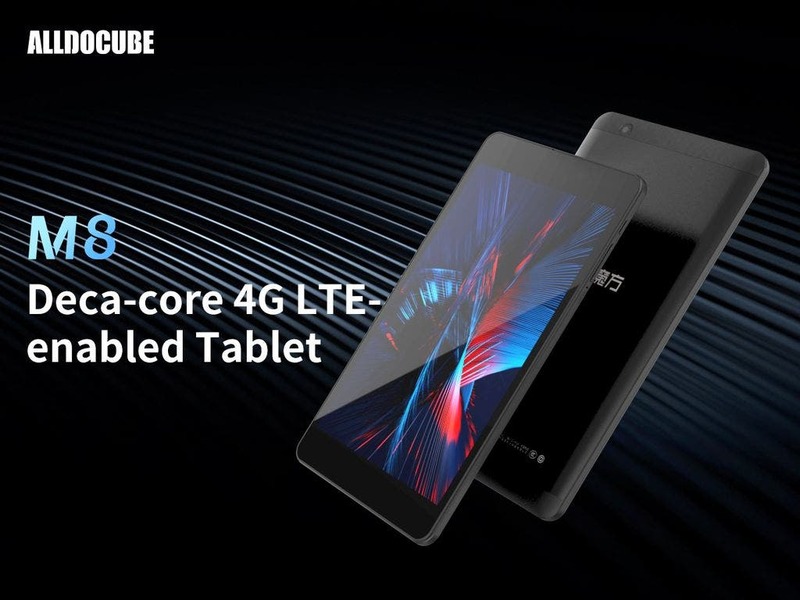 Last week we have spotted the first Helio X27 tablet model from ALLDOCUBE on their website and now they have released a new promo video for the upcoming ALLDOCUBE M8, so it seems like everything is on the right track and we should see it officially released very soon. And in the slowly dying tablet world we have to be grateful for the brave ones, who are still trying to get new worthy models to the market. And the ALLDOCUBE M8 certainly looks worthy, at least from the specs we have seen so far. According to the provided information the tablet should have 8-inch full view IPS screen with 16:10 1920×1200 pixel resolution, Helio X27 deca-core processor, Mali-T880MP4 GPU, 3 GB RAM , 32 GB RAM of internal storage expandable via microSD, 4G LTE connectivity, 3.8V/5500 mAh battery capacity, 8,4mm thickness and 345g of weight or the Android 8.0 Oreo system. We still don’t have in hand the actual release date and pricing for the tablet, but ALLDOCUBE already mentioned their desire to offer the tablet through various retail channels including Amazon for US and EU or of course Aliexpress. Surely the first place to find the pricing and release info will be on their social media platforms. Until then you can check more details about ALLDOCUBE M8 on their official website.